They give you a canvas and a dream. You return to them quality and long-lasting beauty. Painting professionally is a job made for you! But hang on a minute. There are dozens, maybe hundreds, of applicants for each painting position. For the employer, it’s like having a bottomless bucket of paint. There’s gonna be a lot of competition. How can we make your painter resume stand out to land you that interview? Not to worry. We’ll go through this together, step by step. We’ll take your dull or unfinished resume, splash some color onto it, and smooth out the edges. Then, we’ll hand them a creative painting resume and cover letter that’ll be sure to win them over. Great painter resume examples better than 9 out of 10 other resumes. How to write the best painter’s resume and cover letter that’ll land you more interviews. Tips and examples of how to put skills and achievements on a good painting resume. How to describe your experience on a resume for a painter to get any job you want. Below is a sample resume for a painter made using our resume builder. Commercial Painter Resume Example - See +20 resume templates and create your resume here. What’s the Best Format for a Painter Resume? There are going to be lots of resumes. Resumes from mediocre painters. You’re not just mediocre; you really can paint. How do you stand out? You need the right painter resume format. Luckily, it’s not as difficult as it sounds. Depending on your past work history, there are two main ways to tackle your most important painting project. Been a painting pro? Great! You’ve got an advantage here. Professional painters usually attack a room in a specific way - first the trim, then the ceiling, then the walls, as it’s easier to tape off trim than to tape off the walls (or both). Similarly, there’s a preferred way to go about your experienced painter resume: the reverse-chronological format. Why is that? This format emphasizes your painter duties and responsibilities, as well as your related work history. You’ll list your most recent painting positions first, then go back through past jobs in reverse-chronological order from there. As the standard resume template for experienced professional painters, it tends to be the easiest to read and scan. But, how can you format a painting resume with no experience? Well, you might not have experience for this job, but you have experience relevant to the job. On an entry-level or self-employed painter resume template, you’ll still list jobs you’ve held in reverse-chronological order. Rather, you’ll highlight relevant painting duties, skills, and achievements from these past jobs, featuring them in bullet points to make them stand out. List them under appropriate subheadings like: Paint Application Skills. Pick and choose transferable skills to match the painter job description for resumes from the ad. 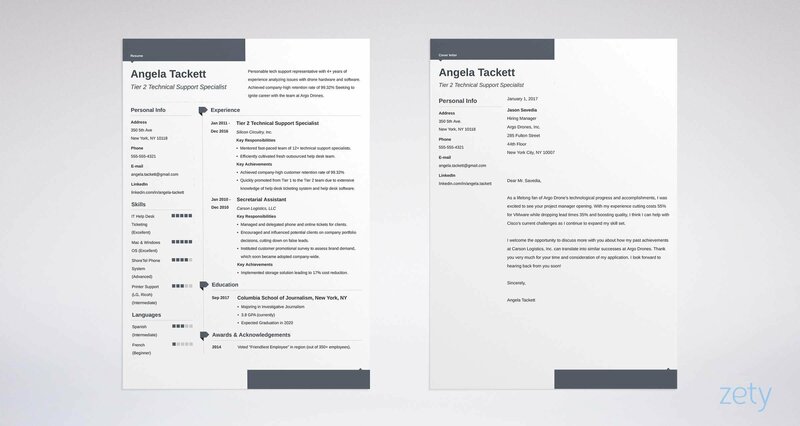 Next, save your creative painter resume template as a PDF. The PDF format keeps the layout in shape. Pro Tip: Check the job posting to make sure PDFs are OK. Some Applicant Tracking Systems (ATS) can clog like with clumpy paint on a PDF-formatted resume. The ATS scans for keywords, and if it can’t read your file, it’ll assume you can’t do anything right. Painter Resume Objective or Resume Summary? You want to catch their eye. You want to make an impression. You want to be unforgettable. You want to show the hiring manager that you are THE painter for the job. How to do that? You need a painter resume summary or a professional resume objective. But which one? Relax. We’ll go over these two now, and you’ll be able to pick the best one for you. Do you have experience working as a painter? Personable building painter with 2+ years’ expertise in a commercial environment. Achieved company-highest client satisfaction rating according to exit surveys (97.53%). Seeking to advance professional painting career by growing with the Paint Saints, LLC team. I have been a painter of interior and exterior surfaces for the last 2 years. In addition to my knowledge of applicators, such as sprayers and brushes to apply paint, I also carried out various duties on construction sites (e.g., bricklaying, drywalling, erect scaffolding) during slow seasons. Do you see the differences of these experienced resume summaries? Take the “Wrong” one: it’s great that you are able to handle the related duties of construction at different job sites. However - and no disrespect - but who cares? You’re just listing your regular tasks as if they were accomplishments, which they aren’t. In the first example, we give evidence of our painting experience and desire for the specific company’s position. Then, we state a proud paint-related achievement for the win. Friendly and personable technical school graduate with 5+ years utility experience for large family home. Obtained highest grades in two different woodworking classes (100%). Seeking to jumpstart my career by growing with the Paint Saints, LLC team. I am a technical school graduate eager to switch to a painting career. I don’t have experience as a commercial painter, but people say that I am a fast learner. I am also highly motivated because I need to start paying back those pesky student loans. See the differences here? Paint Saints is taking a bigger chance by hiring a first-time painter without experience. You’ll need to show them that you have what it takes. In the first one, we used some transferable skills from a technical school class, as well as listed our handiness around the home and an achievement to secure our victory. The second one doesn’t show enough to hold the hiring manager’s eye, which means your resume will be relegated to the “pass” pile. Pro Tip: Personalize your painter CV / resume example by dropping the painting company’s name into your resume summary or objective. "If It Matters, We're on It." That’s not only Valspar Paint’s slogan - it’s what the hiring manager is thinking as they sift through that stack of painter resumes. One of those is yours. Held one or more construction painter jobs or house painter jobs before? Great! You’ve got a head start. Still, pick the best painter resume responsibilities that match the company’s interests. Managed and translated clients’ project ideas into finished realities. Encouraged and influenced business customers to make color-pairing decisions based on budget, desire, neighborhood, and medium. Instituted workplace tool tutoring, increasing employee skills and productivity. Completed painting projects for clients. Advised clients on paint colors. Trained fellow employees on tools. See the differences? The “wrong” sandblaster painter resume example seems fine, at first, doesn’t it? We explained our duties and tasks. However, that’s just it: those were our simply our general painter resume responsibilities. In the “right” spray paint resume example, we itemized our painting duties with more detail, and then we included a proud achievement(s) for the win. Never been a painter professionally before? Relax. We just need to play up your relevant painting experience in a way that won’t paint you into a corner. Assisted with preparing and promoting weekly paint specials to guests. Influenced customers with paint-pairing decisions based on home and palette. At first, working at a home goods store didn’t seem relevant for a painter resume. But, we played up those paint department points which translate well onto painter resumes - whether they’re automotive painter resumes or for an industrial painter resume sample. Pro Tip: Take some time to think about your past jobs. Which areas relate best to having strong painting skills and techniques? Pick those for your painter resume, whether its for a part time position or full. The education section - a waste of space, right? You don’t need a degree to paint. You’d better think again. Most requirements for professional painter resumes require you to have a minimum education. The education section is an important part of the perfect painter resume examples. It might even be mandatory. In the case of those without experience, the education section becomes the most important. So, how should we put your education on your resume for painter jobs? But what if you are still completing your certificate or degree? Not to worry! Remember our screenshot above? You still need it! Pro Tip: On your painter resume, when applicable, only include your GPA if it is as close to 4.0 as possible. Too low will hurt instead of help. We don’t want that! If you’ve used PPG paints, you might be familiar with their motto: Because every job matters. But to a paint company hiring manager, only one recruit matters out of all those resumes. Let’s make you that one. How do we do that? We need to play up your skills and include the perfect ones for the best painter resume. A skills section on your resume for painting is like the colors you add when mixing paint - important, but only the right ones. Also, not too much and not too little - you want the right tone and value, just like with paints. First, let’s make a list of some generic hard and soft skills for painter resumes. Hard skills are specific abilities and know-how (e.g., Spray Master 5000, paint mixer). Soft painter resume skills are self-developed, life-learned attributes (e.g., safety consciousness, adaptability). But! These are good skills for a resume - for average painter resume examples. You’re not average, right? Neither should your resume for painting be. To make your resume unique, we can’t just list these generic terms - they look like all you did was google “sample painting skills,” and then stick whichever results came up. It’s time to browse the painter or painter helper job description, but now we will underline the best resume keywords that match the hiring manager’s needs. Pro Tip: Try this: Type a bunch of your skills into an Excel column, with a number (1-10) of importance and painting relevance in the adjacent column. Then, trim it down until you have the best 5 or 6. In the second one, your laziness in searching for sample painting resume skills is quite obvious. In the first one, you look like just who the painting job’s hiring manager was looking for. By the way, aside from the job description, another great place to get some relevant skills and keywords for your painter resume is to look for sample painting contracts or painters’ contract templates. You’ve got your contact info. Experience, too. Education, Objective, Skills - got those, as well. You’ve got the basics, but this is just a plain, dismal gray. Let’s make it more vibrant and colorful. We need to add in a splash of our secret ingredient: extra resume sections. Why is that? Extra painter resume sections make your resume more unique. Everybody puts their name, experience, and education on their resume. This is where you’ll list some relevant things that you’re proud of. Volunteered at local shelter serving meals. Voracious reader (over 500 books per year). 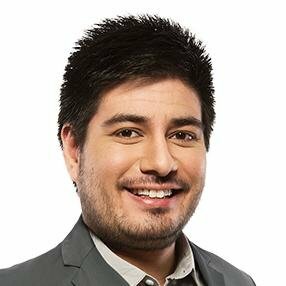 Voted “Funniest Employee” three months in a row. You have every right to be proud of these accomplishments - hell, I know I would be. However, they’re not friendly for the resumes of painters looking for work on residential painting jobs. But which ones are right? I’ll go over some of the most popular additional sections for a great painter resume now, along with some better, more relevant examples. Cleaned up road litter with the Adopt-a-Highway program? You are a hero! Volunteered after Hurricane Kuhrayzee reconstructing homes. Assisted veteran’s nonprofit with relocation to new site. Think it doesn’t matter what you do in your spare time? It might not, but it could also be a good way to show them your human side. Baseball - member of local league for over four years. Baseball and team sports show that you function well on a team, an important trait for the fast environment of those earning a painting job salary. Crossfit shows that you can handle the physical exertion that commercial painting jobs might throw at you. Passed five-year workplace safety certification. Placed second in last year’s Pretty Pro Paint-Off. Know another language? That could be very helpful on a painter resume, and maybe a necessity. Knowing another language is like being able to operate both the spray gun and the 8-foot roller - they’ll broaden your painting opportunities. 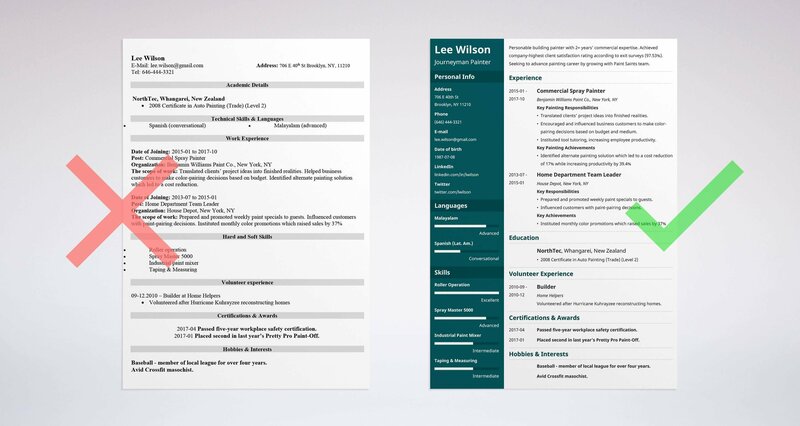 Don’t turn in a painting resume with so much blank, white space. Well, you can, but it is like missing a spot when you’re painting a blank, white wall. Only the client would just ask for it to be fixed, while the hiring manager will simply put your resume aside. Relevant extra sections on your painter resume are the answer. Pro Tip: Don’t add too many extra sections on your resume for painters. Add only enough extra sections to fill the rest of the current resume page - not more that it spills over onto a new one. Would you touch a painted wall that hadn’t dried yet? No, right? A painter resume without its cover letter is the same thing. See what I mean? You’ve taken your time on your resume measuring the paints and mixing it all together. Explain why the painting job excites you. Drop names - name the hiring manager and paint company to personalize it. When you finish a sample painter contract, do you want your check to be made out to “Hey you?” Of course not. Neither do paint job managers. Call them by name in the painter resume’s cover letter, if you can find it. Mention something about the paint company that you relate with. You dropped their name and caught their attention - now seal the deal with this next personalization. Be witty. Be charming. Be clever. Positively grab their attention - it will mean more than degrees and certifications you list in your enclosed resume for painters. Pro Tip: Research the painting client or job description online and mention something in particular that stands out to you. This is something a resume can’t include and will really catch their eye! Did you know that our resume builder will also help you write a professional cover letter for a painting job? For more, read our cover letter tips or find out exactly what to include on a cover letter. The key to the painting job interview is through the perfect painter resume and cover letter. Using this recipe for a good painter resume and cover letter, you will have a strong finish - just like the best protective paint varnish lacquer. Personalize, Personalize, Personalize. Address the hiring manager by name in the cover letter. Mention the company in the resume heading. Make yours stand out. Double- and triple-check. Spend an extra few minutes making sure that your painter resume and cover letter are up to par. Now. You should have a creative painter resume that’s mixed to perfection and coated just right. Time to attach the final painter cover letter and resume to an email and send it off. Hopefully we’ve taken the pain out of your painter resume! Do you have any questions on how to write a painter resume? Not sure how to describe your skills, achievements, or professional experience on resumes? Give us a shout in the comments below and we will answer your question. Thanks for reading!